Having only finished a disappointing sixth in the Italian capital with 2.27m, Barshim produced a world-leading 2.37m clearance, his best result for more than a year. For the first time the lap of the Diamond League took place in Rabat. Ukrainian Bohdan Bondarenko won high jump competition with result of 2.31m. IAAF World Challenge competition took place today in Peking. Syrian Majd Eddin Ghaza won the men high hump completion, setting both personal and national record and what is more, best world season result. On 6th of May in Doha (Katar) took place the first lap of Diamond League. First points were played between male high jumpers. A former U.S. Olympic star was partially paralyzed in a training incident over the weekend. And now his friend Lolo Jones is spearheading a fundraising campaign to help pay for his medical bills..
Vashti Cunningham became the youngest ever women’s winner at the world indoor championships, then American's first time clearance at 1.96m being decisive. Gianmarco Tamberi fulfilled his status as the pre-event favourite to win Italy’s first world indoor championships gold medal in 15 years. Nevada teenager Vashti Cunningham not only won the high jump at the USA Track & Field Indoor Championships Saturday in the Oregon Convention Center, she took down a slew records. On March 5-6th Italian Indoor Athletics Championship took place in Ancona. The high jump winners are Gianmarco Tamberi and Alessia Trost. On 21th of February in Metz (France) an international athletics meeting took place. Andriy Protsenko gained victory in mens high jump. 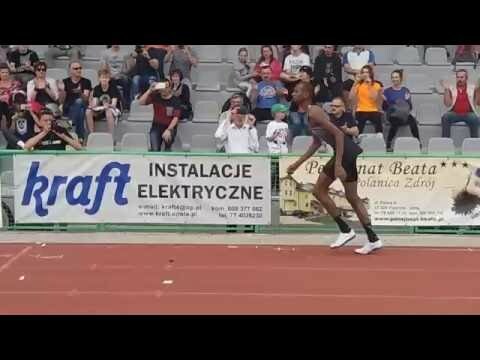 On the 13th of February traditional high jump competition was held in Czech town Hustopece, which pleased organizers and spectators due its high results.